The EuropAce Portable Dish Washer EDW 3050U does not require any installation, drilling or piping, it just plug and wash. It is water saving (8 times water saving compare to hand wash (40L), and comes with smart touch control panel and tri-filtration system. Watch video for demo and more details! 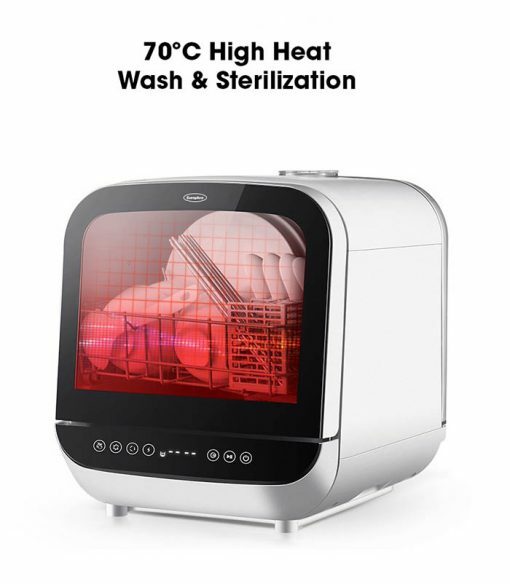 All our dish washers are authentic and from local distributors with standard warranty. At HomeGeeks, we strive to provide you with the best prices and quality with the goal to offer you the best online shopping experience with us! 2% Cash Rebate when you pay through Direct Bank Transfer. Refer to FAQ for more information. The EuropAce Portable Dish Washer EDW 3050U does not require any installation, drilling or piping, it just plug and wash. 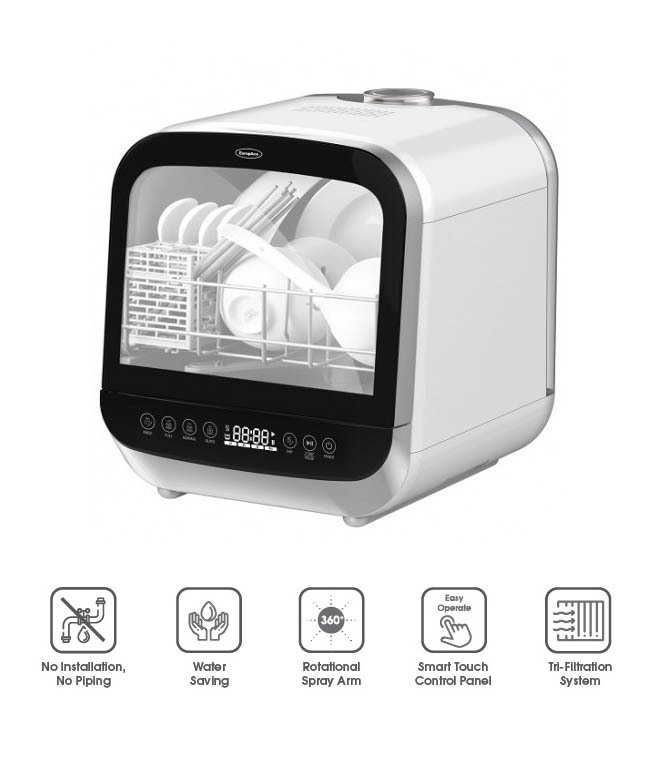 It is water saving (8 times water saving compare to hand wash (40L)), and comes with smart touch control panel, tri-filtration system and patented 3D spray arm design. It has 3-in-1 functions: wash, store and sterilize. Watch video for demo and more details! All our dish washers are authentic and from local distributors with standard warranty. 2% Cash Rebate when you pay through Direct Bank Transfer. Refer to FAQ for more information.